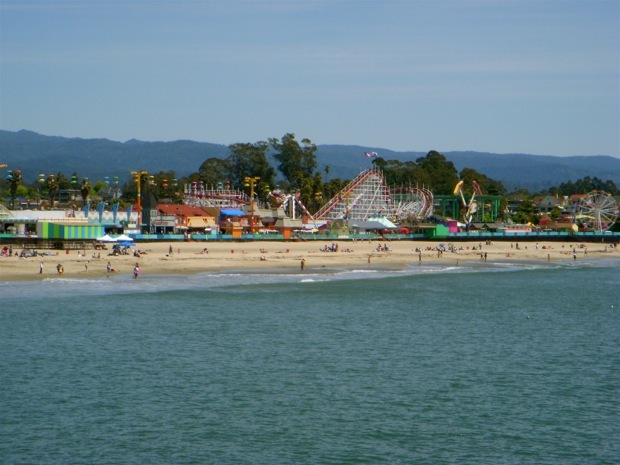 The number one tourist site in the area of Santa Cruz is the Santa Cruz Beach Boardwalk and the ultra fun roller coaster, The Giant Dipper. 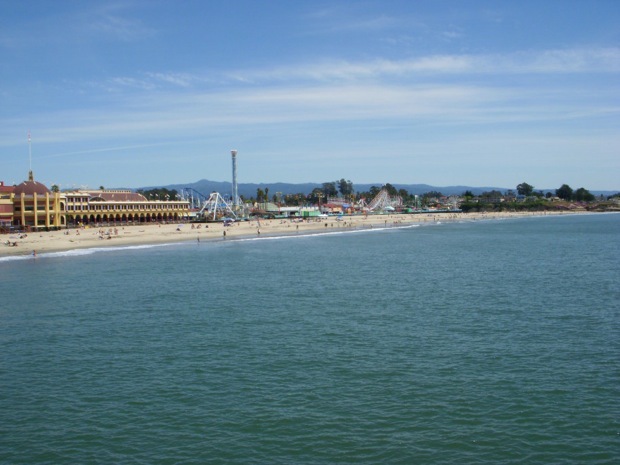 If your looking for an inexpensive adrenaline rush, the Giant Dipper at the Santa Cruz Beach Boardwalk can provide that short surge of excitement. Every time I have went on the giant dipper I have been totally entertained. The roller coaster climbs up the first incline with the chain, After the second incline they have a camera set up that takes every ones picture during the drop. Everyone has a different expression, some are quite comical. From start to the finish, the Giant Dipper at the Santa Cruz Beach Boardwalk takes some drops or “dips” that will leave your stomach behind on each ride. In the picture you should notice the red and white roller coaster named The Giant Dipper, the dipper first opened in 1924 and has had more than 50 million riders. One down side of this area is that during the summer, on the weekends, this area is jammed pack with lots of people and moving vehicles, yet October is the best month to visit. Since I have a lot of time during the week, I have a tendency to stay home on the weekends. The big building you see on the left of the wide angle view is where they have an arcade. All the old original classic arcade games have been preserved and are in great working order there. Santa Cruz also has an old original drive in. It is one of the last old outdoor drive in with two big movie screens. Great vacation spot along the central coast of California.